Tom is an Assistant Programme Director. He leads on his own projects and supports other senior colleagues. Spanning the broad spectrum of security and beyond, his work and interests include; multilateral cooperation, technology and innovation, diplomacy in the information age, cities, security and governance in the post-Soviet space, and nuclear non-proliferation. He leads Wilton Park’s International Futures series and the annual British German Forum. Prior to joining Wilton Park, Tom worked at NATO Headquarters Strategic Allied Commander Transformation in Norfolk, Virginia. Before this he spent several years in the heritage sector in Cardiff, developing the social history museum for the Welsh capital city. He is an alumnus of the Wilton Park British German Forum (BGF), the Young Königswinter Conference, and a pending Director of Bridge International Dialogue, a charity set up by alumni from the BGF. Since 2018 he has been a Fellow of the Royal Society for the Encouragement of Arts, Manufactures and Commerce (RSA). Tom read History with American Studies at the University of Nottingham (BA Joint Honours), Local History at the University of Oxford, and International Relations at the University of Bristol (MSc). 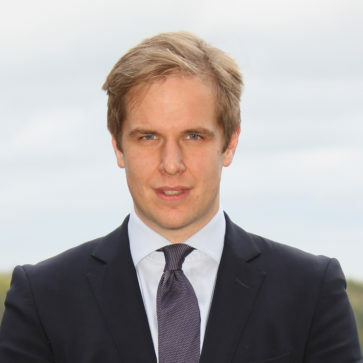 He holds a Diploma in UK Foreign Policy and Diplomacy from the Foreign and Commonwealth Office’s Diplomatic Academy and is currently pursuing a second master’s degree in International Relations at the University of Cambridge.